Most personality assessments focus only on behavior and not on what causes it. The SSPS is unique because it explains the 'why' of human behavior. Unlock genuine insight and alleviate the dysfunctional behavior that gets in your clients' way by harnessing the power of the SSPS. Human needs regulate emotional and psychological balance, and are the source of motivation for all behavior and social interaction. Outdated assessment tools cannot and do not access this crucially important foundation of who we are. The SSPS does. Developed from cutting-edge science and a seamless integration of four leading theories of the brain, the SSPS is the results-oriented solution you've been searching for to improve the effectiveness of your practice. Maslow’s theory stated that humans need a number of essentials to survive which go beyond the physical. 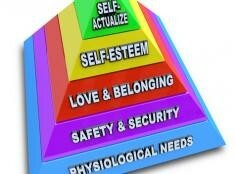 Often displayed as a pyramid, this hierarchy of needs is "capped" with a fifth and most complex need, self-actualization, considered the primary motivating factor of behavior. Murray believed behavior is driven by an internal state of disequilibrium: when we have a lack of something, this mechanism drives us to satisfy it. 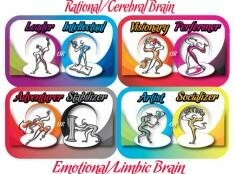 We can trace back and infer needs on the basis of the effect or end result of behaviors or patterns of behaviors. McClelland and colleagues studied the behavioral effects of three needs. The needs are Achievement, Power and Affiliation, with an emphasis on Achievement. Herzberg developed a theory of motivation with two distinct scales: satisfaction and dissatisfaction. Dissatisfiers are items predominantly found in descriptions of negative events while satisfiers are items predominantly found in descriptions of positive events. Using the most relevant insight from these theories, the SSPS provides a step-by-step guide for helping your clients get their needs met. It's simple, it's straightforward, and most importantly, it works. Find out more with our free introductory webinar, or start today by joining our Qualifying Program.